More than 60 whales and bottlenose dolphins have died after being washed up on a beach in south west Australia. Western Australia's conservation department said the group became stranded on Monday morning. 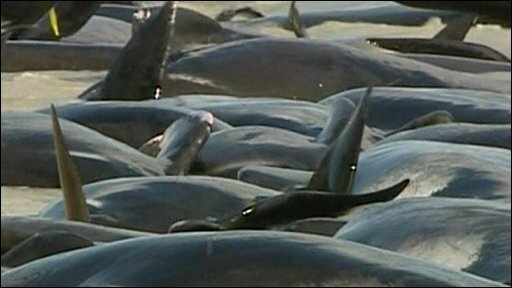 The whales were first thought to be false killer whales, but have since been identified as long-finned pilot whales. Rescuers and volunteers have been struggling to save the few surviving animals in Hamelin Bay.